Jeffrey is an older dog who has just come into the care of the KWWSPCA from the Kildare Dog Pound. He is a large fox hound and is about 6 years old. 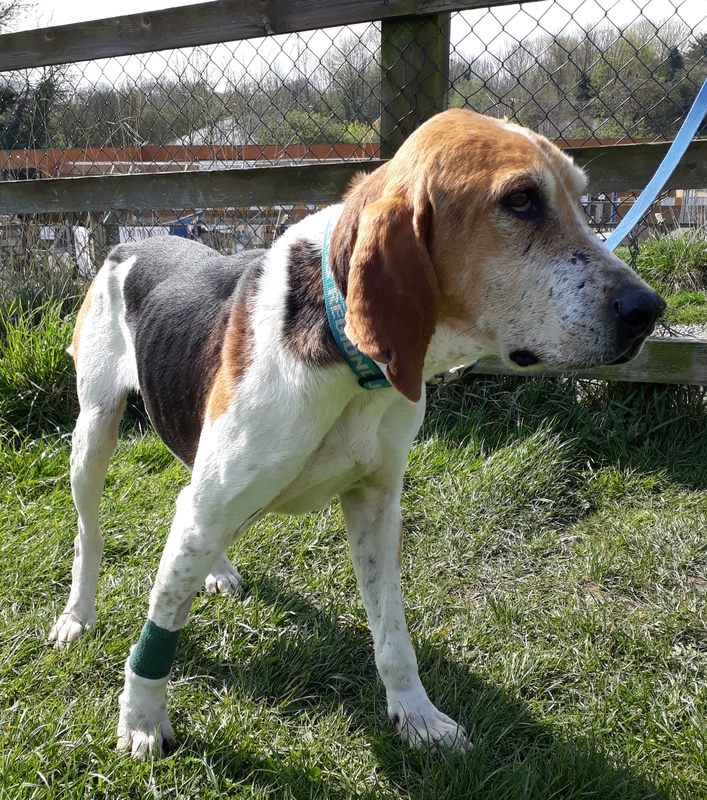 He was very underweight when he was first taken in by the Pound, and his fur was in very poor condition, but he has responded well to good food, some veterinary treatment and lots of attention, and is getting on well. He is quite laid back and gets on well with other dogs and happily shares his kennel and his run with another dog. He is very good on the lead and is a joy to walk. He has obviously had some training and socialisation before he was sadly discarded by his previous owner. Jeffrey has been neutered, vaccinated and microchipped and can be visited at the KWWSPCA Animal Shelter near Athgarvan which is open to the public between 1.00 and 3.00, Mondays to Saturdays. Please call 087 1279835 or email kwwspca@gmail.com for more information about him. We ask for a minimum adoption donation of 150 euro to partly offset our veterinary fees and a home check applies.